Large cove mirror with decorative liner. Good condition 33×50 in outside measurements. Made 1820-1840. 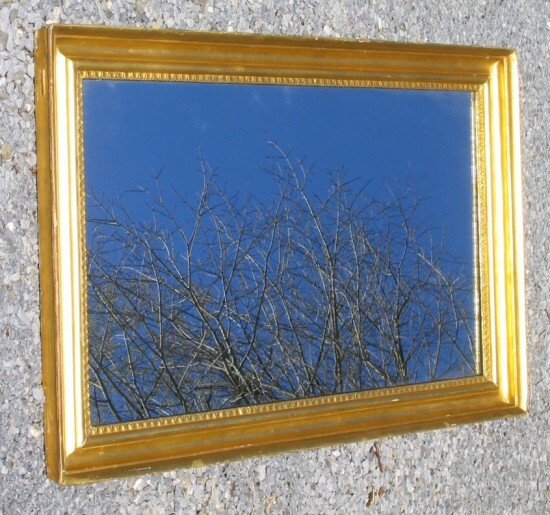 This can be either a wonderful over-mantel mirror or a hanging mirror.